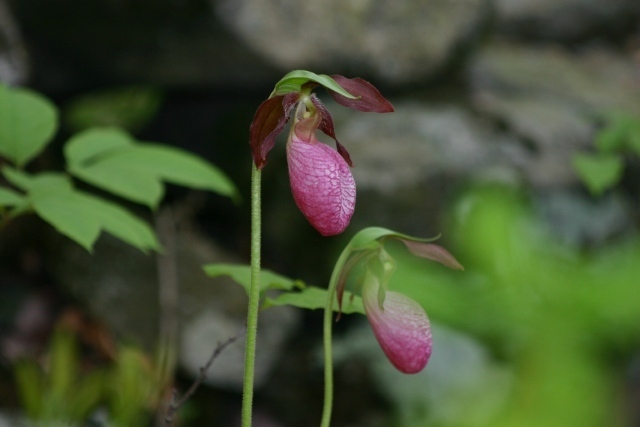 Pink Lady's Slipper is also known as Moccasin Flower. The 'moccasin' and 'slipper' in the names reflects the Indian and white settlers view of what the flower looked like. Its presence may have been thought by the native Americans to induce sprit dreams. Photo taken on May 31 2005 on the west side of the pond near the town marker.